With fans desperate for Sunday to devour episode four of the hit Season 6 HBO drama series True Blood, they can munch on the recently leaked description of episode five, “F*** the Pain Away.” This episode, airing on HBO on July 14 at 9 p.m., foretells the reunion of former lovers and ghosts. WARNING: SEASON SIX SPOILERS AHEAD! In the episode, Sookie (Anna Paquin) continues to delve into her past along with her fae grandfather Niall (Rutger Hauer) despite the ever-looming presence of the ancient, evil vampire Warlow. Specifically, the blonde waitress turns to her co-worker and friend Lafayette (Nelsan Ellis) who may deliver some information about her dead parents. The other Stackhouse sibling Jason (Ryan Kwanten) will also be reconnected with his past through two of his past lovers: Jessica (Deborah Ann Woll), of course, and none other than the former Mrs. Reverend Steve Newlin herself, Sarah Newlin (Anna Camp), who fans had the pleasure of seeing once again in episode three. In the vampire world, Pam (Kristin Bauer van Straten) is noted to have entered “dangerous territory,” but there may be a rescue close at hand for her! Both her maker, Eric (Alexander Skarsgard) and her progeny, Tara (Rutina Wesley) are said to be taking “drastic measures” to help the fashionable member of their family. Now we’re all wondering: what could all of this possibly mean? Stay tuned for July 14 to find out! Source: IBTimes.com – ‘True Blood’ Season 6 Spoilers: Episode 5 Description Leaked Online; What Ghosts Will Return? 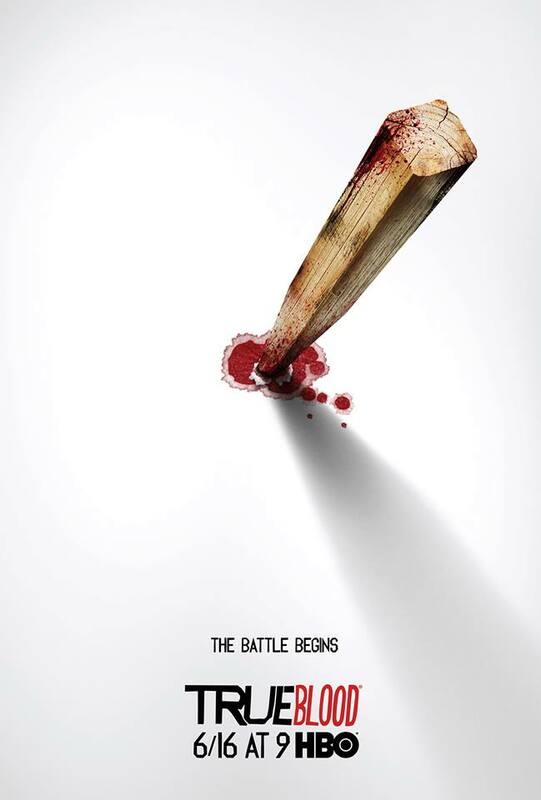 As the countdown continues to the June 16 premiere of HBO’s hit True Blood, a new trailer has just been released! It is sad to report that the outlook for our friendly neighbourhood vamps isn’t looking so good. The trailer focuses on Governor Burrell’s address to the citizens of Bon Temps, declaring war against all vampires in an effort for the humans to take back their state! The build up to Season 6 has been by far the best compared to all other seasons! I think the we are in for quite the ride in Season 6! For those of you who want to support “Team Vamps” HBO is promoting #SHOWYOURFANGS, check it out and show your fangs!